Intensive Worldwide Webinar Review Season 6 for the NPTE, PCE, and NPTAE! The perfect review program if you want to ace your examination! Know the right testmanship skills and how to translate knowledge into correct answers. Be in the MOST INTENSIVE, outcome-based review program that has produced many passers in its previous seasons. 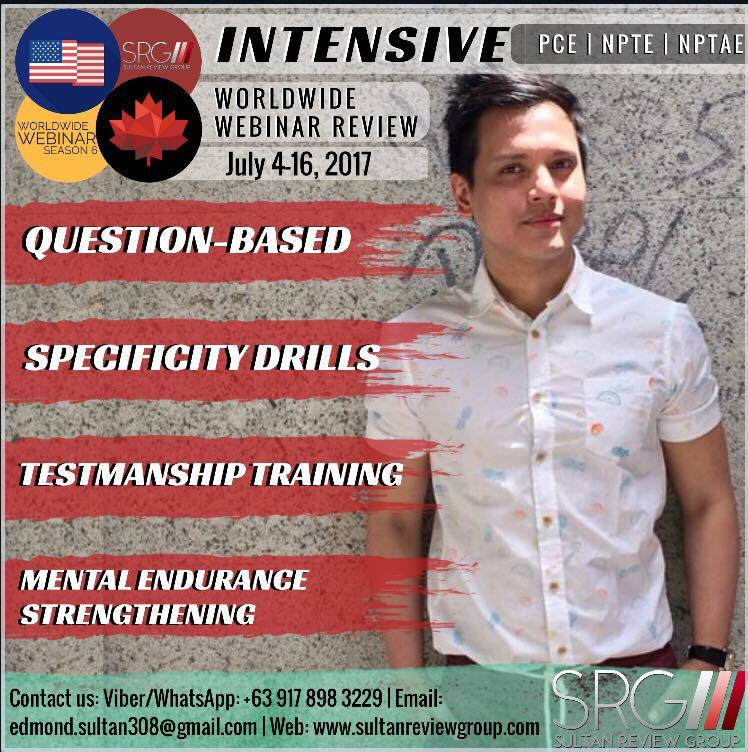 The INTENSIVE WEBINAR REVIEW SEASON 6 will start this July 4 2017. Reserve your Slot now! Previous Entry:Classroom Webinar Review for the September 1-3, 2017 PT licensure examination in the Middle East! Next Entry:Intensive Review and Testmanship for the August 2017 PT-OT Licensure Examination!